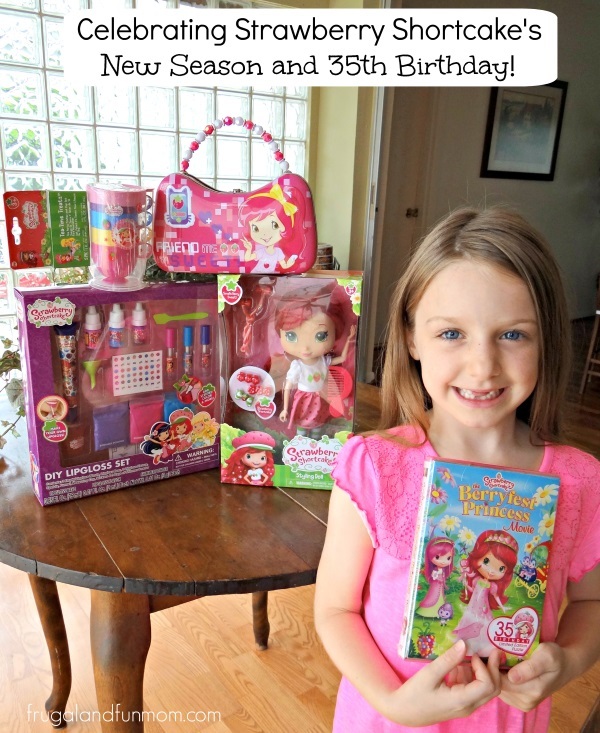 Strawberry Shortcake’s Berry Bitty Adventures Newest Season and a Prize Pack Giveaway! The following post about Strawberry Shortcake’s Berry Bitty Adventures is sponsored. Opinions expressed are that of my own. Calling all Strawberry Shortcake fans! 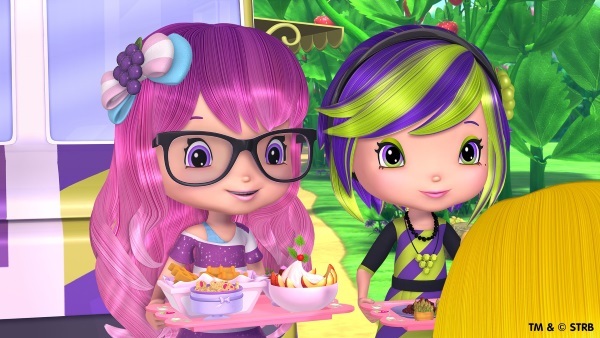 The little redhead with the big personality just launched her fourth season of “Strawberry Shortcake’s Berry Bitty Adventures” on Discovery Family Channel! Starting June 20th, this new season introduces four new characters including twins Sweet and Sour Grapes, Tea Time Turtle and Apple Dumplin’ in 13 thirty-minute episodes. Each segment, delivers positive messages of friendship, self-esteem, and honesty. Since Strawberry Shortcake also just had her 35th birthday, there is even more to be excited about! To celebrate both this awesome events, I’m offering this delicious giveaway with a Strawberry Shortcake doll or Lemon Meringue doll, Strawberry Shortcake lunch box, DIY lip gloss kit, a set of tea cups and the DVD “Strawberry Shortcake lunch box ” from 20th Century Fox Home Entertainment. I have been a fan of Strawberry Shortcake for most of my life, and I am glad to pass on that love to my daughter! Be sure to share your love for Strawberry Shortcake in the comments as well! 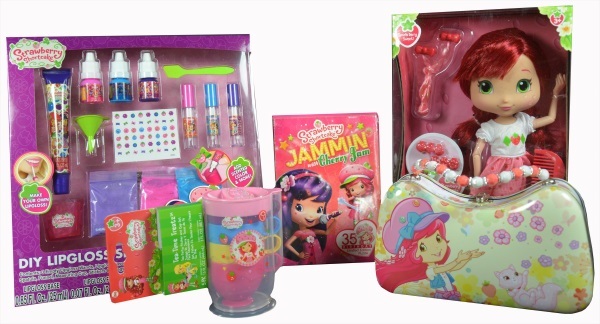 One lucky Frugal and Fun Mom Reader will win this AWESOME Strawberry Shortcake Prize Pack, approximately a $50 Value! To enter simply follow the directions via Rafflecopter form below! * Participates must be 18 years or older to participate and live in the contiguous United States. Odds are based on the number of entries, and by participating, you agree to these terms and the laws set forth by your individual state. 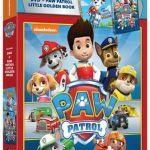 Entries will only be accepted through the Rafflecopter Form, and Frugal and Fun Mom is not responsible for disruption of the page or service which could cause problems with entering. The winner will be contacted through email (make sure you check your spam or junk mail) with the Subject line “Strawberry Shortcake Prize Pack Winner”. Shipping information, including email, phone, and address will be collected at that time. The winner has 48 hours to respond, after that an alternate will be chosen, and so on and so forth. Frugal and Fun Mom does not sell personal information. The prize will be fulfilled by the PR Firm. 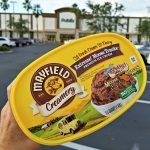 Frugal and Fun Mom does not share information with 3rd parties unless specifically expressed in a specific promotion or giveaway. This giveaway is not associated, nor sponsored by Facebook. Discovery Communications, LLC and Discovery Family are not sponsors of or affiliated with this sweepstakes. My daughter Paisea love Strawberry Shortcake. 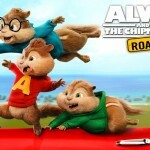 I love the message the movie portray's to little ones- friendship, positive self-esteem, and honesty. I loved Strawberry when I was a kid, and my daughter found a love of it all on her own (not coached by me at all, which tickled me pink!) She's been in love with BBA since she was 6mths old and is still a fan at 4 1/2. I even designed a strawberry tattoo to represent our shared love. We are so excited to meet the new girls in the new season! I love the cute characters, and that I know I don't have to worry letting my kids watch it. They learn about good friendships too. when my little sister was born we decorated her room in strawberry shortcake, I was the weird kid who loved the smell of poison Ivy but now I love strawberry and lemon the best. Love these cute little things and was so happy to see them make a comeback. now I would be sharing these with grand kids. 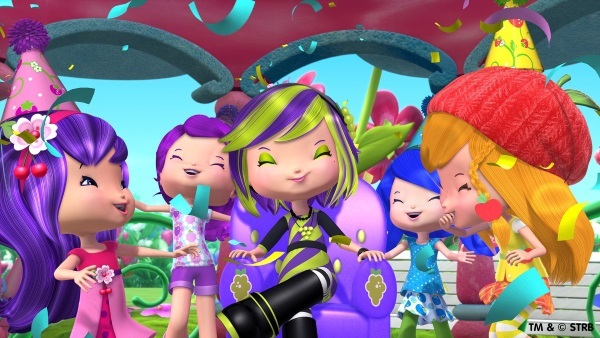 I love the messages in this show, especially when it promotes a healthy self-esteem! I like Strawberry Shortcakes because it teaches my daughter to solve problems and not be afraid to ask for help. I remember my sister having a strawberry shortcake doll. Her hair smelled liked strawberries. My children really love the characters and stories. my daughter loves Strawberry Shortcake; and i love the way the toys smell! I have love Strawberry shortcake! I think she is super cute. As a kid I loved sniffing the dolls. My daughter is now a fan. I loved Strawberry Shortcake when I was little and I'd like my niece to have a doll too. I loved the adventures she went on. I played with strawberry shortcake when i was little and now my daughter adores her. Love the show! Strawberry shortcake is such a great show! The characters are so cute and I like the lessons it teaches! I had a Strawberry Shortcake toy box in my room as a kid. I like that the character has been revamped for my daughter to enjoy as well. I grew up with a dool and her hair smelled like strawberries always! I was collecting Strawberry Shotrcake stuff. Now my nieces are loving her too. She is a cute doll for girls. Many many years ago, when I was a kid, Strawberry Shortcake was a favorite of mine, my daughters, and now my granddaughter. Amazing how great characters never go out of style!